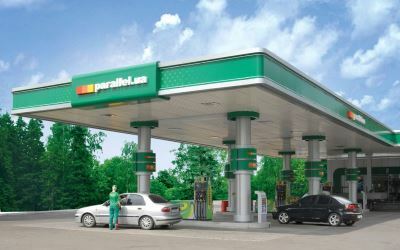 Parallel is a large regional network operator of Parallel-branded filling stations and a supplier of petroleum products in small and large wholesale quantities to Ukrainian businesses. Today, Parallel’s branded fuel Perfekt is sold at 60 filling stations operated by Parallel and its partners in Zaporizhia, Donetsk, Dnipropetrovsk and Luhansk oblasts. 44 filling stations under TM Parallel and its partners operate in Donetsk and Luhansk oblasts. In September 2014, Parallel’s headquarters moved from Donetsk to Zaporizhia. On 18 May 2015, the company suspended operations of 32 Parallel-branded filling stations in Donetsk and other cities and towns of Donetsk Oblast based in the non-government controlled area such as Makiivka, Dokuchayevsk, Zuhres, Shakhtarsk, Yenakiieve, Snizhne, Telmanovo and Torez. Earlier in summer 2014, the company closed down its gas stations in Horlivka (July-August 2014), Yasynuvata (July 2014), Debaltseve (July 2014) and Heorhiivka (June-July 2014). In July 2014, the company also discontinued operations and lost control of all Parallel-branded filling stations in Luhansk Oblast based in the non-government controlled areas such as Sverdlovsk, Luhansk, Krasny Luch, Krasnodon and Antratsyt. Along with wholesale and retail trade of high-quality fuel to private customers and Ukrainian businesses, Parallel is giving priority to supplying fuel to ambulances, emergency response vehicles, rescue service and utility cars. Charities and volunteers also use the fuel of Parallel to evacuate residents from crisis spots and deliver water and food there. All the staff employed in the government-controlled area in Donetsk and Luhansk oblasts are paid full salaries according to the Ukrainian laws. Employees of Parallel’s headquarters moved from Donetsk to Zaporizhia in September 2014. 9 filling stations were heavily damaged. The petroleum storage depot in Sloviansk, Donetsk Oblast, was hit by shells and thus seriously damaged. Now the depot is fully operational. Ten petrol tankers and some light vehicles were seized by armed people. Since the outbreak of conflict, Parallel has had no access to its many facilities. After seizure of the company’s assets, they have been under full control of the third parties.